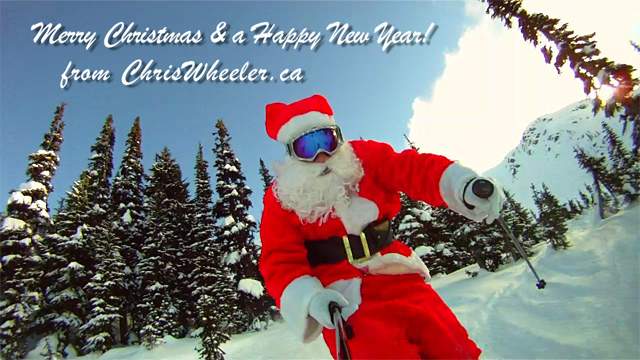 Here Comes Santa Claus Skiing Whistler, BC! So join him as he spreads the Holiday Cheers around the mountain. Happy Holidays from Santa Claus & Chris Wheeler Media!